Sometimes you come across a fun location based marketing campaign. Sometimes you see great execution. Rarely you see both. 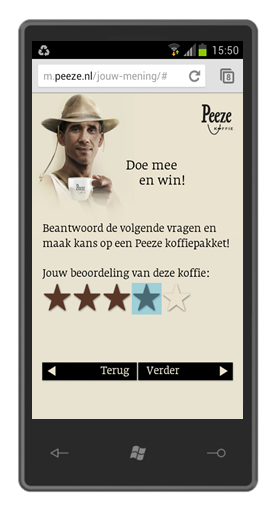 Peeze manages to pull it off with this multi-layered and creative use of QR and location. 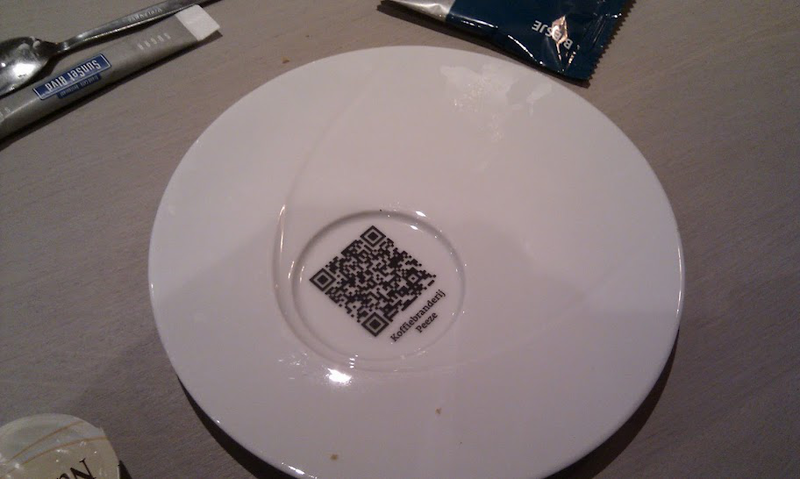 When you pick up your first cup of coffee made from beans from this coffee-roasting factory you’re treated to this QR code in this great looking dish. 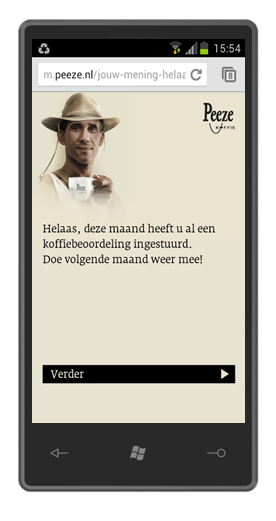 Step 4: off course, they will need your email for the prize, but could you also let them know where you drank this coffee? The list is pre-populated with Peeze merchants in the vicinity if you allow your lcoation to be shared. Postscript: don’t think you can game this campaign either, at least not if you don’t want to change your phones ID every time you play..